Anna Kennedy’s regular slot on Chrissy B show, welcomes her guest, Dorset Mind Ambassador, Calvin Billington-Glen. 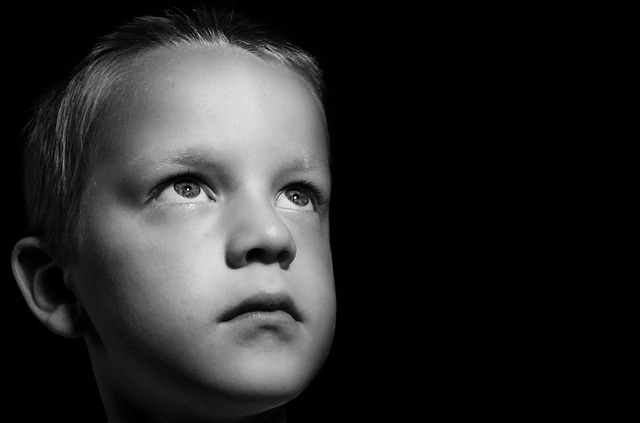 Calvin has Asperger’s syndrome and, in the past, has suffered with severe anxiety, clinical depression and psychosis. But he speaks about his personal experience at several events in a bid to raise awareness and reduce the stigma relating to speaking out about mental health. He is also a very talented singer/songwriter and also performs on the show. Please watch the video and find out more. On 22nd August 2018, hosted at Oakwood School, national autism Charity Anna Kennedy Online and Hillingdon Dads Support Group in collaboration held their first SEN Summer Fun Day for Children with disabilities and their siblings. Kratu is a fully qualified assistance dog as I am on the Autistic Spectrum so he would be allowed to fly with me. 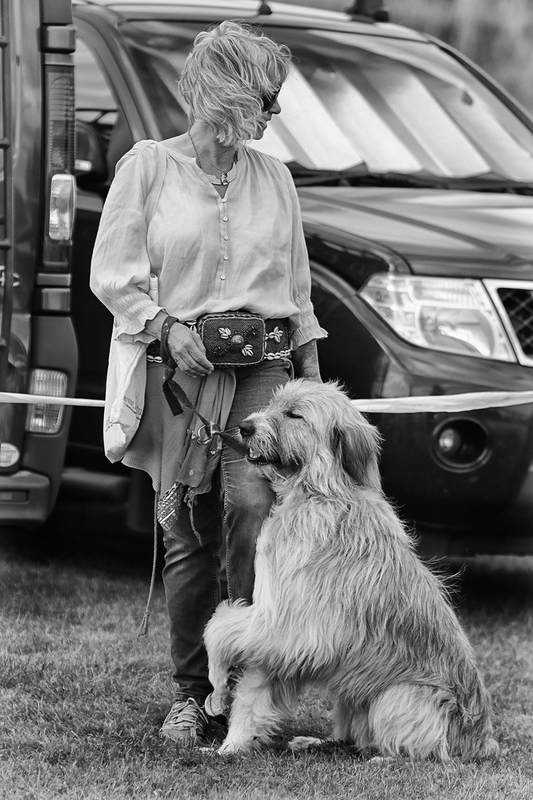 After his success at Crufts I also wanted to do more research into the guarding breeds he is crossed with as many come here and are put back into rescue and sadly to sleep as there is not enough information about their specific breeds and their guarding traits. I decided to return to Romania with Kratu to try to change perceptions about rescue dogs. We flew from Luton airport and the airport staff were amazing. I was terrified and doubting the whole trip but the staff were so kind and helpful and we boarded with out any problems. The crew were also amazing and even the pilot came to say hello to Kratu! 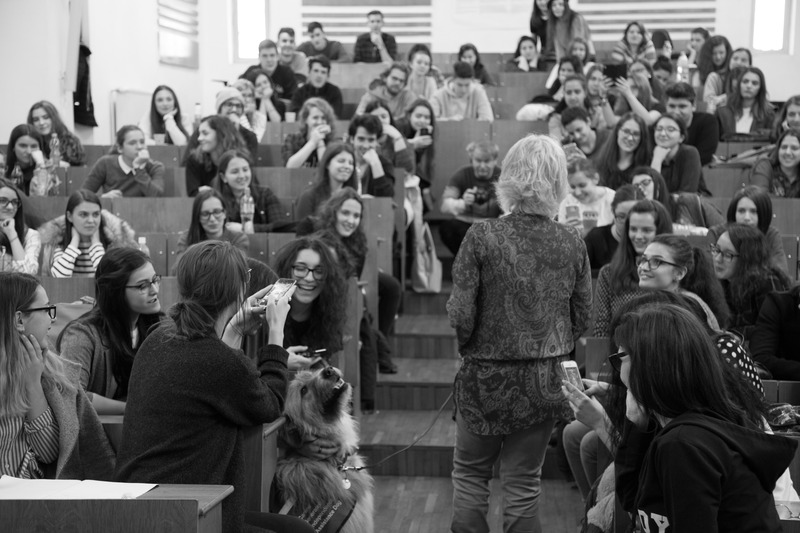 Kratu and I had been invited by Alina Rusu Associate Professor, PhD (Faculty of Psychology and Sciences of Education, Babes-Bolyai University) to attend a lecture for her animal psychology students to share out story and to show everyone the incredible animal human bond we have. When we arrived at the University and I have never been so proud of Kratu, despite being really hot inside he behaved with impeccable manners and just loved meeting the students, charming them as he does all who meet him. There were also two TV news stations that heard about us and wanted to interview us alongside a leading newspaper. We were then interviewed by Cluj TVR and filmed there, then after the lecture we were filmed by Digi TV at a local park. 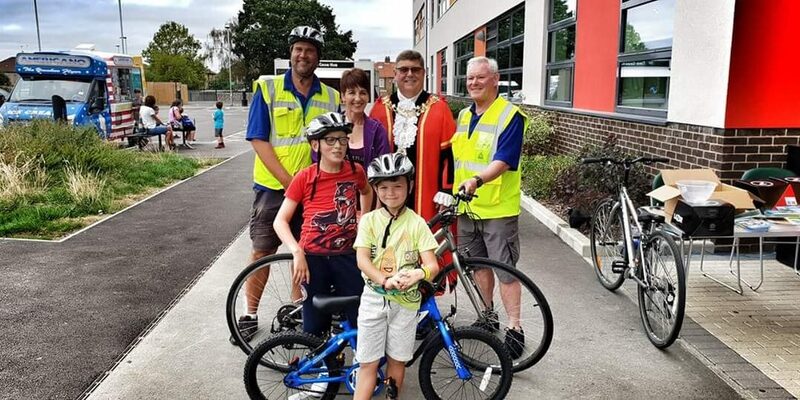 During this filming a group of children and their parents watched us with astonishment, but the parents said their children could come and stroke him and they loved meeting him. Kratu is a cross of two strong guarding breeds, Mioritic and Carpathian, and in Romania and you do not see dogs like him walking down the busy streets in town. He turned heads all the time everywhere as to see a big dog like Kratu with his assistance dog jacket and a film crew – people did attract lots of attention. The following day we met up with Ray Dorgelo from Canine Efficiency who works and trains LGD (Livestock Guard Dogs) we had taken two people from UK to visit working LGD to find out more about the usual roles and behaviours and background history. Ray came to UK the following month after our return to do a special lecture for the staff at Wood Green, Kratu was a special guest to educate about the guarding behaviours and genetics of the Romanian shepherds, and to help understand the ones that are going back into rescue far too frequently as often put in the wrong and inexperienced homes. Many are put to sleep here because of guarding behaviour, which sadly is typical for the breed. 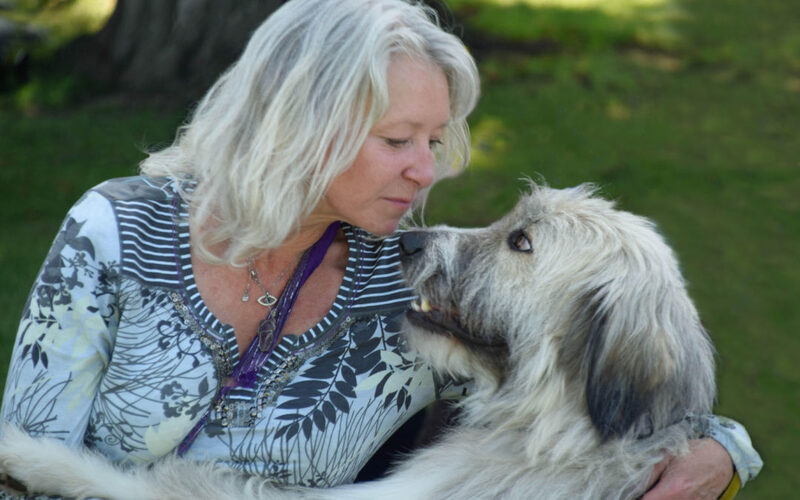 You will not get a breed like Kratu from a public shelter, as Kratu was rescued at a few weeks old and had intensive socialising and training from then, four years on and still training. We also met with George Mosoi who has Dog Assist – Terapie Asistata de Animale (a dog therapy organisation) he was very interested in meeting Kratu and hearing about his training and the therapy work Kratu had done at a home for people with dementia. There is another organisation in Bucharest that are using rescue dogs to train as therapy dogs. This is something I want to support with Kratu and we will return next year to see how we can help. Hopefully two reward based trainer friends will come too. We get confirmation in September about an invitation to speak at an international event there again about the animal human bond and our story of how he is my support and assistance and how that helps me on a daily basis with being autistic. We met with Vlad Vancia who is a Biologist at Societatea Română de Antrozoologie and he is also a dog behaviour consultant, and writes for an radio station about animals. Vlad Vancia was very interested in discussing the reward based training we do and is very keen to change the way people train dogs in Cluj.I saw a lot of prong colours on dogs when we were walking around town, times and perceptions are changing. Kratu is an incredible ambassador for rescue and he certainly made a difference to some people in Romania. Seeing him return home to share his story touched hearts and we went back to his birthplace and this was a very emotional journey. For a little puppy who had left such humble and dangerous beginnings, returned with so many achievements and loved by many people worldwide. Kratu has nearly 11 million views on his Crufts video, which has given us a platform to share our story from. There are also autistic people working with dogs to support them in Romania and this is a cause close to my heart, we will do all we can to help them and are in regular contact and working on what we can do to help. We hope to raise some funds over the following months as I did this alone with Kratu with no help. Whilst I was simply terrified and did things on a wing and a prayer by facing the fears, doubts and insecurities. My belief in Kratu and his unconditional love and support helps both of us achieve things that other wise would just be impossible. 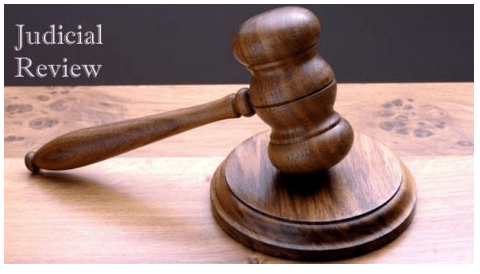 On the 8th August 2018 the Upper Tribunal handed down its decision in C&C v The Governing Body of a School (click here) which is likely to be of assistance to many disabled children facing exclusion. The decision is somewhat dense but our summary will focus on what it means on a practical basis for schools and children. Hence, the protection afforded to the child by the Equality Act 2010 was lifted. In practical terms, children with an ASD, ADHD, Sensory Processing Disorders etc who were excluded because of behaviour which arose as a consequence of their disability (referred to in the decision as ‘Meltdowns’) were often left with no redress. This matter was considered by the Upper Tribunal on more than one occasion but, for whatever reason, the Regulations (known as secondary legislation) were seen to apply in schools. His conclusion was that Regulation 4(1) (c ) was incompatible and should be dis-applied, something that had not really been considered previously. So, what does this mean for disabled children who have ‘meltdowns’ and are at risk of exclusion? It doesn’t mean that exclusion is not possible if a Governing Body can successfully make the argument that exclusion is a ‘treatment’ that is ‘a proportionate means of achieving a legitimate aim’. The legitimate aim put forward often relates to ‘health and safety’ and the need to maintain good discipline within the school, but they would also have to show that the punitive sanction of exclusion was the only thing that can be done in the circumstances. It is also worth noting that, in our opinion, this would be a difficult argument to make if all reasonable adjustments had not been made for the child. What it does mean is that the shield provided to a Governing Body by the Regulations has gone.